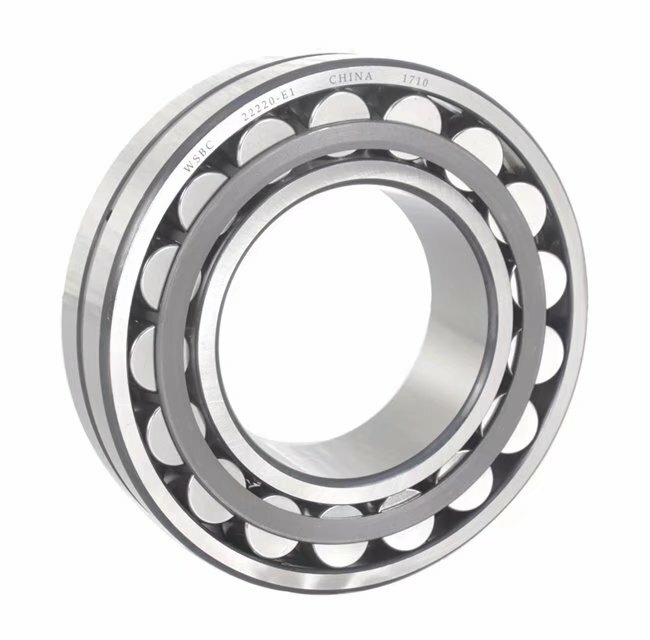 Message: E1 type spherical roller bearings have improved kinematics and optimised surfaces, are made from higher performance materials and do not have a rigid central rib. Without a cage suffix have sheet steel cages. The two cage halves are retained by a guidance ring in the outer or inner ring. It can support axial forces in both directions and high radial forces. They are designed for very high load carrying capacity and, since they have the maximum possible number of large and particularly long barrel rollers, are also suitable for the heaviest loads. WSBC 22326-E1-K bearing are synchronous with world brand bearing ,which widely used in mining , petroleum, chemical,coal , cement , heavy machinery,wind power,and other industries . If you want to know more about WSBC 22326-E1-K, welcome you contact us freely .